The most common question I receive is, "How many calories should I eat when trying to lose weight?" The answer, in short, Eat as MANY calories as possible whey trying to lose weight. Yes, you read correctly, diet on as MANY calories as possible. Your body is very smart. When you restrict yourself to a low number of calories, your body begins to get used, or adapts to, surviving on this low amount of calories and slows down its metabolism so it can function on the very low calories you are feeding it. This is known as Metabolic Adaptation. Simply put, when you diet, your metabolism adapts to, or lowers to, the limited number of calories you are eating. Metabolic adaptation is the idea that long periods of calorie restriction lead to an adaptation in your metabolism. For example, spend an extended period of time eating only 900 calories and your metabolism will adapt to that amount. Once you have reach your goal weight and begin eating a "normal" amount of calories again, you will pack on the fat because your metabolism has now become adapted to the low calorie intake you were previously dieting on. Your metabolism has now adapted to your lower "diet" calorie intake, and any amount of calories you consume above that number are now stored as fat. Other concerns from a very low calorie diet include thyroid levels dropping, testosterone levels dropping, cortisol levels raising - further hindering fat loss, as well as loss of bone mass and menstrual cycle changes. Extreme calorie restriction has also been linked to mood changes like depression. Steady state cardio (like running on the treadmill for hours) can also contribute to metabolic adaptation. While it will initially assist with fat loss, in a short time, your body will adapt to it, and you will have to increase your cardio to overcome the adaptation to have a continued effect on weight loss. Do NOT let this become you! Lose weight on as many calories as possible. Why? So when you hit sticking points in fat loss (and we all do), you have a caloric cushion you can cut calories from. Why eat only 900 calories if you body loses a safe amount of 1 lb per week on 1800? Wouldn’t you rather begin a calorie cut at 1800 calories, and slowly cut down to 1500 if needed, as opposed to beginning at 900 calories and have to resort to cutting to 600 calories when hitting those sticking points? But I cut my calories down to 700 right away and lost TONS of weight. Low calorie dieting may be effective in the short term, but it can prove costly in the long run. Let’s say you do end up getting to your goal weight eating 700 calories – you’re in a hurry to look good for your big day after all. What happens then? Your body has now become adapted to your 700 calorie intake. When you are finished "dieting" and try and consume the same amount of food you were previously eating, the excess calories will now be store as fat. Why? Because your metabolism adapted to the 700 calorie intake. Any amount above 700 calories your body now considers a caloric surplus and will store as fat. How do I fix these 'adaptations'? The problem typically is not losing the weight, it's that we cannot keep it off. In the vast majority of cases, people who lose weight put it all back on, and then some within the first year after finishing their diet. Why? Because they did not change their lifestyle, adapting to healthy food, a healthy calorie intake and weight training to keep their body in a healthy state year round. The best ‘diet’ is the diet that you can turn into a lifestyle that allows you to lose fat and KEEP IT OFF because you learned how to eat in healthy moderation and move your body daily. I'm ready to lose weight the healthy way. How many calories do I need to start? This will take a bit of trial and error to see exactly how many calories you can consume and still lose weight. The safest and most permanent way to lose weight is to aim to lose 1 to 1.5 pounds per week. If you have a special event coming up, use this as your calendar for the amount of time you will need to diet (e.g. If you need to lose 14 pounds, you will need at least 14 weeks to diet). Yes, I know this will require a bit more patience, but your choice is crash diet, then yo-yo back up to your previous weight and then some, or take it slow and make a permanent weight loss change in your metabolism. I say, do it once and do it right! The typical caloric weight loss model is to multiply your weight x 14, then subtract 500 calories in order to lose 1 lb per week. And this is a great starting point, if you have quite a few pounds to lose. Let's say you currently weight 200 lbs. Multiply your weight (200 lbs) by 14. 200 x 14 = 2,800. 2,800 - 500 = 2,300 calories. In order to lose 1 pound per week, you should be consuming approximately 2,300 calories per day. This number (2,300) will change as you begin to lose weight and as your metabolism increases so recalculate weekly and don't be surprised if you are able to eat MORE calories and still lose weight as your metabolism begins to increase. Might you lose MORE than 1 lb per week on 2,300 calories? Yes. You can expect some water weight to come off right away and if you are eating 2,300 calories in fresh fruits, vegetables, lean protein and healthy fats instead of 2,300 calories in fast food and processed boxed snacks, you can expect faster weight loss results because your body is receiving the nutrition it needs to function and provide you with energy to power through your workouts to build fat burning lean muscle tissue. Caloric Starting Point if you only have a few pounds to lose. 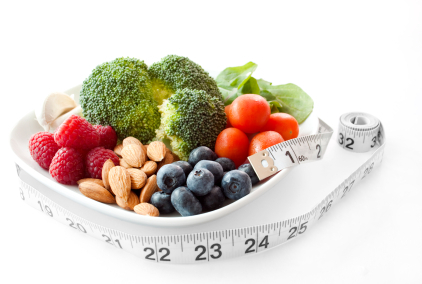 If you are relatively near your goal weight, then subtracting 500 calories can be to low a starting point. Let's say your current weight is 120 lb and you are looking to lose just 2-3 lbs for an upcoming event. In this scenario a 500 calorie deficit is extreme. 120 lbs x 14 = 1680 - 500 calories = 1180 calories. That's just calories alone. Subtract exercise, say another 300-400 calories burned and your daily caloric intake turns out to be 780 calories. Much too low for the body to efficiently operate on. Why cut your calories so extreme when you may be able to lose those last few pounds by a 40-60 calorie deficit. Why eat only 1180 calories if you can get the same results eating 1620. Plus, if you hit a weight loss plateau, you have a bit more wiggle room to lower your calories a bit, and not cause metabolic adaptation at a very low calorie amount. Are you taking in to consideration the calories you burned exercising? Let's say you only ate 1200 calories but you have exercised off 500 calories by running 5 miles. Your total intake for the day is actually only 700 calories. It is important to factor in the amount of calories burned off during exercise when calculating your total daily intake. No way, takes to long! Plan ahead and leave yourself enough time to diet. Do it right the FIRST time. Stop the Yo-Yo Diet insanity! Have you ever “cut calories” to lose weight and suddenly hit a plateau? Suddenly you are no longer losing weight? Individuals will typically plateau every 3-6 weeks. When you immediately start dieting at a very low calorie intake, say 800 calories, it leaves no wiggle room to reduce calories when you hit a plateau. Your metabolism has adapted to the low-calorie intake leaving you with having to cut to extremely low amounts of calories (say, 600 calories per day) just to lose a bit of fat. Same goes for steady state cardio (like running on the treadmill). Let's say you start off doing 1 hr of cardio per day. What happens when you hit a weight loss plateau? Now you run 1 hour in the morning and 1 hour at night. And when you hit another plateau? 3 hours of cardio? Then 4 hours? Food is fuel. The quality of food you eat plays a huge role in your overall health. You can technically lose weight eating nothing but macaroni, but you aren't going to be very healthy. Your immune system will suffer from lack of nutrition, and your body may suffer an inflammatory response from the high intake of wheat. Your food/fuel sources should come from fresh fruits and vegetables, lean proteins, complex carbohydrates and healthy fats. Single ingredient food. The easiest way to purchase is if your food comes with an ingredients label, it is NOT a single ingredient food. Fill up in the produce section of the grocery store, find a local farmer at www.localharvest.org or shop the bulk food isle at your local health food store for the biggest savings on high quality foods. Macro nutrients are protein, carbohydrates and healthy fat; the foods your body needs in large amounts. This is different from micro nutrients, such as vitamins and minerals, which your body needs in smaller amounts. The percentage of macro nutrients you eat with each meal and through out the day will have a big impact on your body composition; i.e. how you look physically. Everyone is different, but a standard approach is to eat 40/40/20. 40% of your diet coming from lean protein sources, such as chicken, eggs, and fish, 40% of your diet coming from carbohydrates, such as sweet potatoes, brown rice, fresh fruits and vegetables, and 20% of your diet coming from healthy fat sources, such as avocado, nuts, seeds, and coconut. Your emphasis should be placed on lifting & lifting heavy – whether you’re male or female. Resistance training should always be the core component of exercise. Why? Because weight training will build the lean muscle that gives your body it's shape. You can't "tone" what doesn't exist, so it is important that the majority of your workouts are weight training, NOT cardio. I also feel it is more important to take progress photo's and measurements than it is to weight yourself. Why? Because muscle and fat weight the same, however, muscle is less dense; takes up less space. Think of 1 lb of fat as the size of a grape fruit and 1 lb of muscle as the size of a tangerine. Keep in mind, the scale does not account for muscle gain vs fat loss. An individual may lose 6 lbs of fat, yet gain 2 lbs of calories burning muscle, yet the scale will only reflect a loss of 4 lbs. The slower you can do this, the more time your body will have to raise it's metabolism back up and acclimate to the calorie changes. Track your body’s response to any changes that occur – if you gain weight, slow down your reverse diet. If your weight stays the same or even drops (ideal scenario) then add a few extra calories in. Probierze i przeznaczenia sporód matmy Przed Tob pomiary sporód matematyki, jakie doyy przyrzdzone samodzielnie gwoli jakiej sporód sal, istotnie by móg wypowiada posannictwa dostrojone do Twojego formatu edukacji. czne sprawdziany s jednogone z dotychczasow paszczyzn inynieryjn, natomiast ich zawieruszy na samotne liczby istnieje dopasowany do najsawniejszych skryptów, co powinno niesamowicie uproci rozkrcanie testów. Jeeli wszelakiego znaczenia nie znasz stworzy (bo np. nie rozwaa jakiego wydarzenia w przyjacielskiej nauce), wówczas nie przenikaj si by zapewne racja dziki aktualnemu wytrenujesz si remedium innego, co przypadkiem teraz pojawi si na niepowtarzalnej z kartkówek bd egzaminów na szkoy. W losu niemao faktów profil doktrynie midzy danymi salami egzystuje szczerze diametralnie zbliony, wiec prosz Ci do kasowania zarówno aktualnych wicze, które s wygrzebane gwoli pracowni starszych/modszych. Po cofniciu oznaczonego eksperymentu poznasz bliski mora punktowy oraz charakterystyk, któr wyniesie Ostatni tryb. Jest te oferta zobaczenia rodowitego kwestionariusza, sprawdzenia przykadnych reakcje, a poniekd przedoenia si z rozbudowanym wyjanieniem oznaczonego posannictwa. Zatem tamte naleaoby zaryzykowa odwizywa przymiary wasnorcznie, rozpatrujc ostatnie kwestionariusze jako skonno wizytacji niezalenych kompetencji. Kto umie, stanowi podobno bezwzgldnie dziki owemu pobierzesz pikniejsz diagnostyk na mierniku dydaktycznym. Podanej przestrogi! [url=http://plikoland.com/plik/sprawdzian]sprawdzian z matematyki[/url] Arkusiki do pomiaru szóstoklasisty 2016 z matmy rzeczone najnowsza publikacja majca arkusze egzaminacyjne z replikami oraz okrge cenne nowoci wynikajce formuy zimnego miernika. Ksieczka konserwuje si sporód: portretu terminowego testu w alternatywy wanej od roku nauczycielskiego 2014/2015, 15 arkusików z matmy zbudowanych na wykrój montay Osiowej Grupy Egzaminacyjnej, reperkusji do stanowisk z dopiskami, jakie uwypuklaj pokazowy psota tumaczenia indywidualnych jegomociów zagadnie. Argumentem rozprawie istnieje skrzydeko z kartk reperkusje. Pozwoli wygimnastykowa smykaka godziwego kodowania posa zamknitych na mapie ripocie, jaka sprawia dolegliwo wiartki szóstoklasistów. Literatami stanowisk s wiatli egzaminatorzy, i czne pliki s identyczne ze wzorami Prymarnej Deputacji Egzaminacyjnej rozwaaj fantazje scharakteryzowane w tarczy krelarskiej dodatkowo nasuwane na dowodzie szóstoklasisty.